KIOSK is proud to be the OEM manufacturer for some of the most technologically advanced and interactive patient check-in solutions in the health care industry. Automation of check-in processes in medical campuses and private practices can substantially impact staff efficiency by eliminating redundant paperwork. Further, securing verified advance insurance data and payment collection up front ensures a more profitable flow with reduced collections. 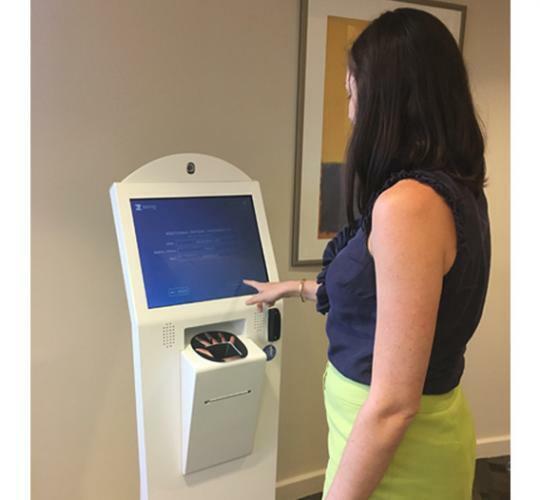 Healthcare self-service innovators such as Allscripts and Fujitsu, Clearwave, Nova Medical, HealthAsyst, MedHost, and Interior Health have leveraged KIOSK’s custom design expertise to bring new patient check-in solutions to the healthcare community. KIOSK’s ability to leverage modular design efficiency and integrate highly custom peripherals has provided clinics, hospitals, and other providers with exceptionally cost competitive market entry points. Application specific peripherals such as biometric identification, insurance card scanners, cameras, privacy screens, and payment transaction devices streamline patient and work flow, improve financial performance, ensure HIPAA privacy compliance, and provide patients with markedly improved service. 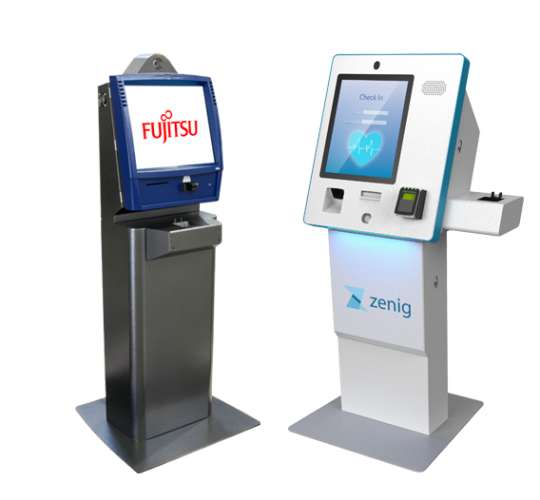 Automated Patient Check-In Kiosk platforms increase convenience, allowing patients to self- identify upon arrival at the facility; view and confirm record data and insurance information, electronically sign consent documents, and make payments. All information entered during the patient flow is seamlessly integrated into the Healthcare Organization’s (HCO) back-end system. This helps to reduce administrative costs for the organization associated with incomplete or wrong records. 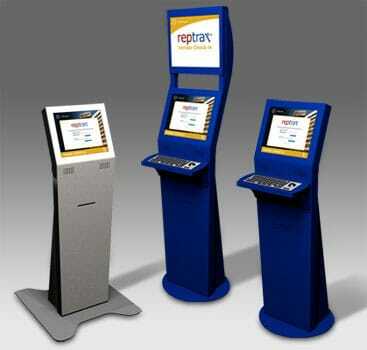 Additionally, the built-in credit card reader ensures up-front customer payment to decrease collections overhead. Automated patient check-in provides several direct benefits to patients as well as the hospital, clinic, and health care providers, simultaneously improving service and reducing costs. The Vendor Check-in Kiosk allows representatives to check-in and self-badge prior to entering the main healthcare facility. 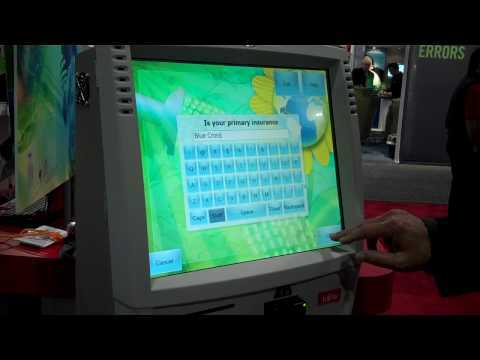 KIOSK’s turnkey solution offers the convenience of multiple check-in locations and unattended self-badging capabilities with built-in consumables alerting system, ensuring the credentialing system is never down. Stand-alone or countertop models available. Please contact a KIOSK representative to learn how an on-site healthcare kiosk can improve patient experience and reduce overhead.